Hey everyone! Thanks for joining me today for the November Papertrey Ink Senior DT Challenge. This time around we are bringing back Love Lives Here: Holiday! The Love Lives Here collection is not one I would gravitate towards instinctively, but boy what treasures these sets truly are. The holiday version features versatile rustic and simple images that allow for a ton of options. That alone makes this set a breeze to work with, and it versatility takes it right up my alley. I love a set with a lot of potential and this ones got exactly that! Here's a card and tag I've created just for today. I hope you enjoy them. Each piece is unique. Yet with the use of the same branch image they both would work well together as an ensemble for a gift. Lets take a closer look at the tag. The base was created by piecing the bottom portion of a Tag Sale #5 kraft colored die cut onto a white one. Next, branches were stamped (top and bottom edges) in spring moss. A few pure poppy ornaments were placed and hung with hand drawn string. Then a few ocean tide berries were scattered among the branches. 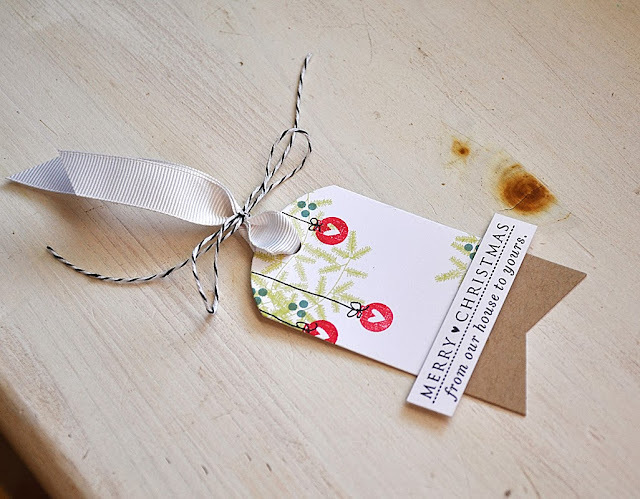 Here's a Tip: To hide the edge of the conjoined tags, I covered it with a sentiment. This is a trick I use a lot, it's a great way to hide imperfections and it also allows me to easily incorporate a larger/longer sentiment that would not otherwise fit the width of my tag. 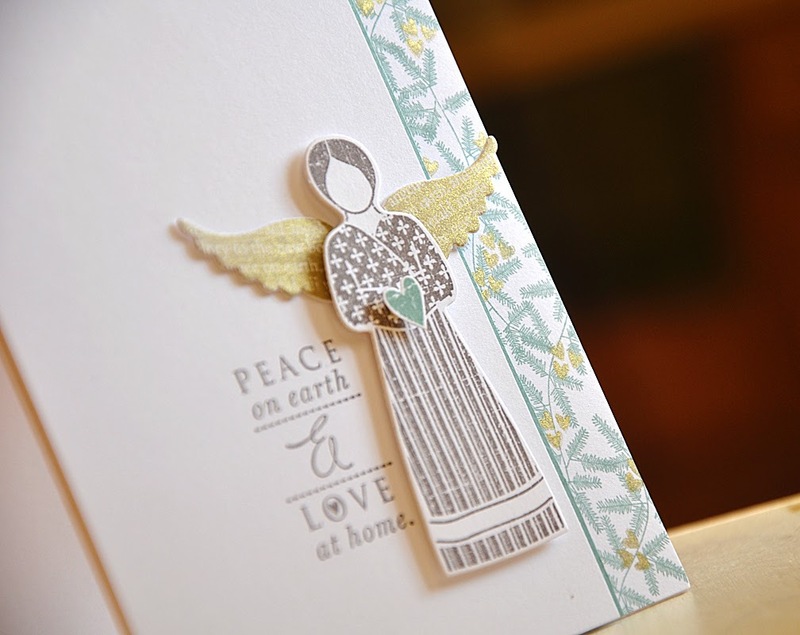 The card features the Love Lives Here: Holiday angel image. Plus, the use of the same branch image used on the tag above. This time the branches were stamped in ocean tides with gold heart berries. 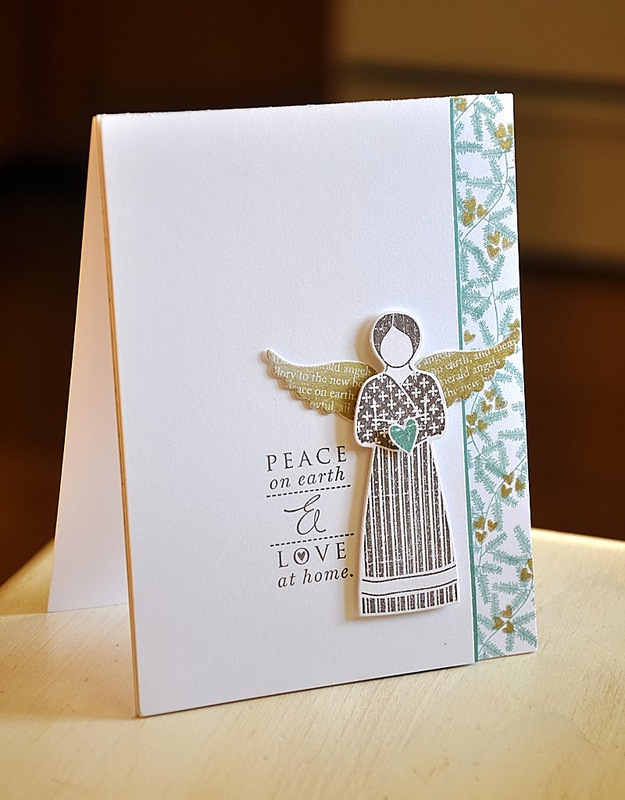 Stamped the angel in smokey shadow and the wings in gold. Check out that gorgeous shine, fitting for such a pretty image. Lovely. The strip of branches peeking out on the edge of the card is so complementary to the angel. 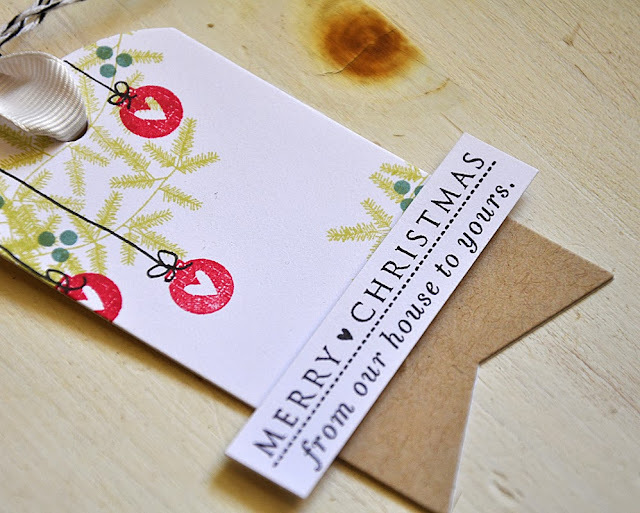 I just love your card and tag. The card looks easy enough to make all my cards for this Christmas. Thanks for sharing. Especially love your sweet card. Boy you're so amazingly talented...both these projects are stellar. Thanks for the tip to elongate the tag. Very pretty. Love the ocean tides on your card. Love how you highlight the versatility of even the smallest of stamps on the set! So gonna use your colors. The side panel you created on the card is heavenly! Perfect for the angel! 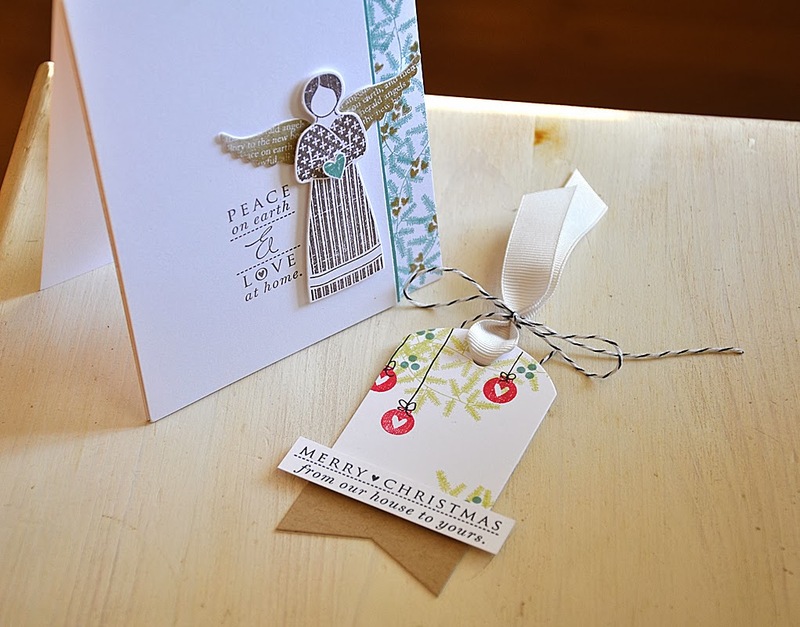 Beautiful card and tag, Maile...I love them both!